1895: Joins Sir Parashuram Bhau High School, Jamkhindi. Nov. 25, 1901: Initiation into spiritual life by Shri Bhausaheb Maharaj, Umadi. 1902:Matriculation examination. Receives Jagannath Shankerset Scholarship in Sanskrit. 1907: B.A. Receives Bhau Daji Scholarship. 1907: Dakshina Fellow in Deccan College. 1908: Visits Annie Besant at Benares. The lady attentively hears all the details of the spiritual experiences of Ranade and asks him whether he was initiated by a Master. On getting a reply in the affirmative, she asked him whether he had a photo of his Master. Young Ranade hands over a photo which she eyes as with a searchlight and exclaims: You are in safe hands. 1911: Tutor in English, Fergusson College, Poona. 1912: Curator in Deccan College, Poona. 1914: M.A. Awarded Chancellor’s Gold Medal. 1914: Professor of Philosophy in Fergusson College, Poona. 1915: Lectures at Bangalore on the Philosophy of the Upanishads at the time of the foundation of Sanskrit Academy. 1922: Begins stay in Nimbal. 1924: Started Academy of Philosophy and Religion. Launched upon the scheme of the Encyclopaedic History of Indian Philosophy in sixteen volumes. Started the quarterly: ‘The Indian Philosophical Review,’with Professor A. Widgery. 1927: Publication of ‘History of Indian Philosophy Vol.II: The Creative Period’ . 1927: Invited to the Chair of Philosophy, Allahabad University by Dr.Ganganath Jha, Vice-Chancellor. 1930: Started: Review of Philosophy and Religion. 1937: Presided over the XIII Indian Philosophical Congress held at Nagpur. 1947: Awarded D.Litt. degree honoris causa by the Allahabad University. 1952: Lectures at Rashtrapati Bhavan and Constitution Club, New Delhi. 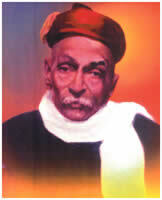 1955: Publication of ‘Ekanatha Vachanamrut’. 1956: Publication of ‘Philosophical and other Essays’ Part I. 1956: 70th Birthday celebrated at Jamkhandi.